All the heart eyes ???????????? 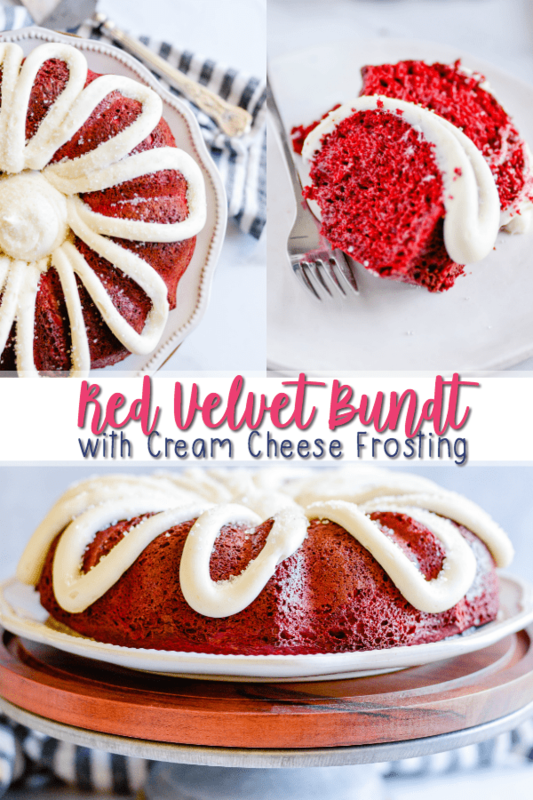 for this Red Velvet Bundt Cake with Cream Cheese Frosting. Sour cream and buttermilk make it extra soft and fluffy. And I could eat the frosting with a spoon! You guys already know how I feel about recipes that start with a cake mix (and if you don’t, here’s a hint: ❤️❤️❤️). I love that working with a cake mix yields a consistently good product. You’ll always get soft, moist, and flavorful baked goods. This doctored up red velvet recipe is made EXTRA good by using buttermilk and sour cream to create an even fluffier crumb and accentuate that little bit of tang that gives red velvet it’s signature flavor ????????. 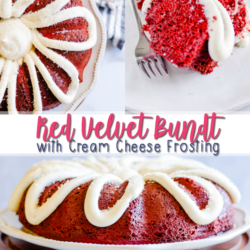 CHECK OUT MY FAVORITE RED VELVET RECIPES HERE. 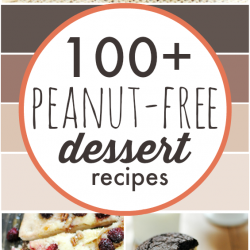 Don’t use sugar free pudding mix! Be sure to get the regular kind (3.4 ounces), so that you are adding enough additional cornstarch to the mix. I love making the cream cheese frosting with a really pronounced vanilla flavor by using vanilla bean paste or vanilla bean powder. Try adding mini chocolate chips to the batter. 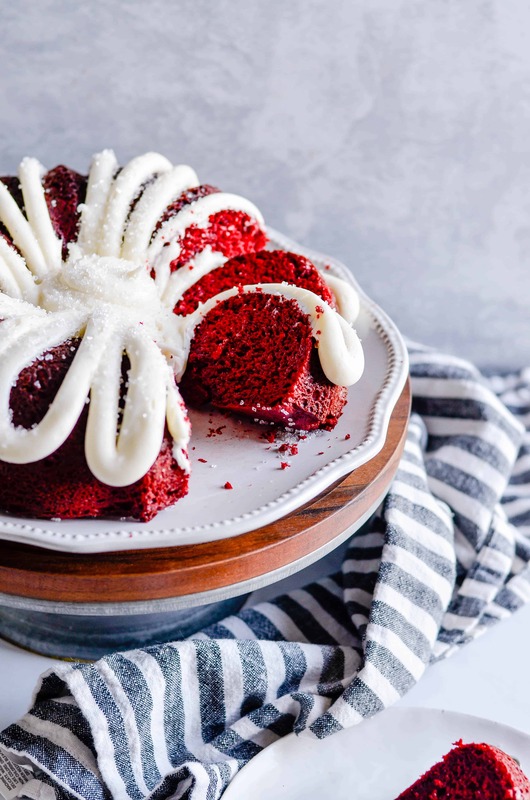 If you’re a Nothing Bundt Cakes fan, you’ll love the familiar addition! Preheat the oven to 350ºF. 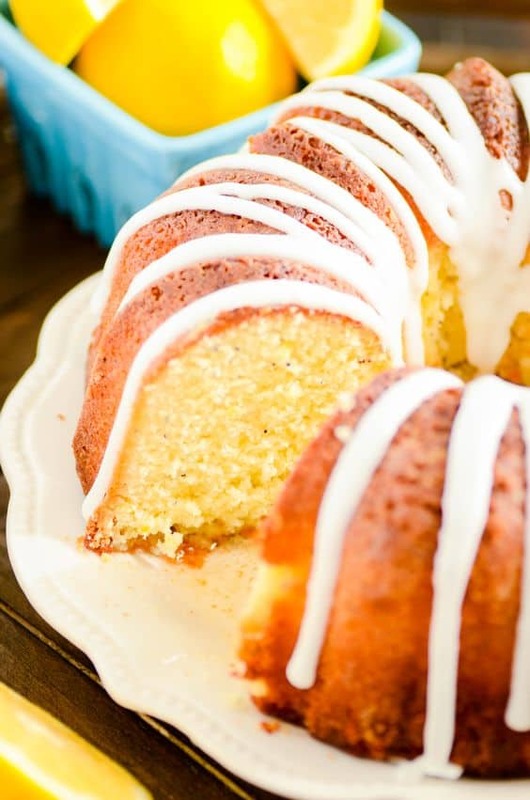 Prepare a bundt cake pan by spraying liberally with nonstick cooking spray. Whisk together the cake mix, pudding mix, eggs, oil, sour cream, and buttermilk until batter forms. Pour the batter into the prepared baking pan. Bake for 50-55 minutes. Meanwhile, make the frosting. Use an electric stand mixer to whisk together the cream cheese and butter until smooth. 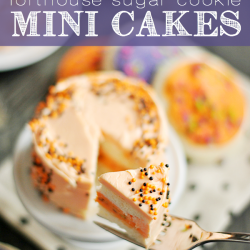 Gradually add the powdered sugar, mixing and scraping down the sides in between additions. Mix in the vanilla. 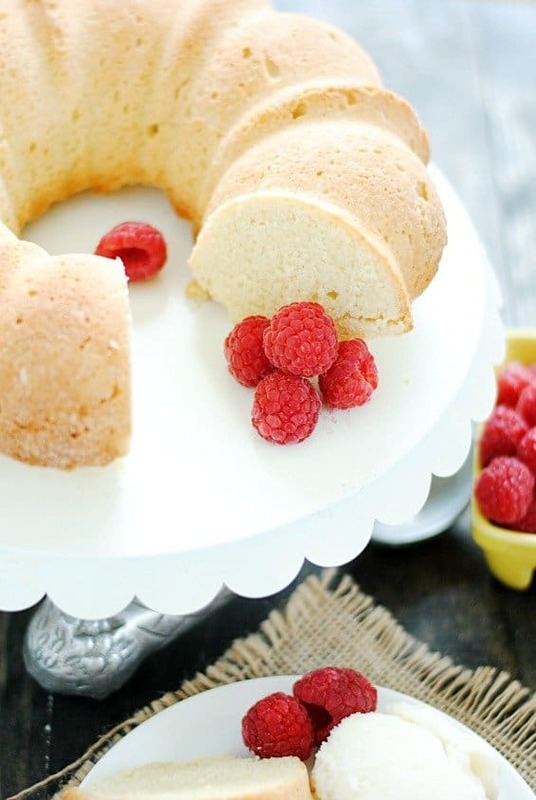 Let the cake cool for about 10 minutes before inverting onto a serving plate. Let it cool completely before frosting. 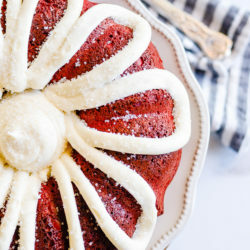 Love Bundt Cakes? Me too! 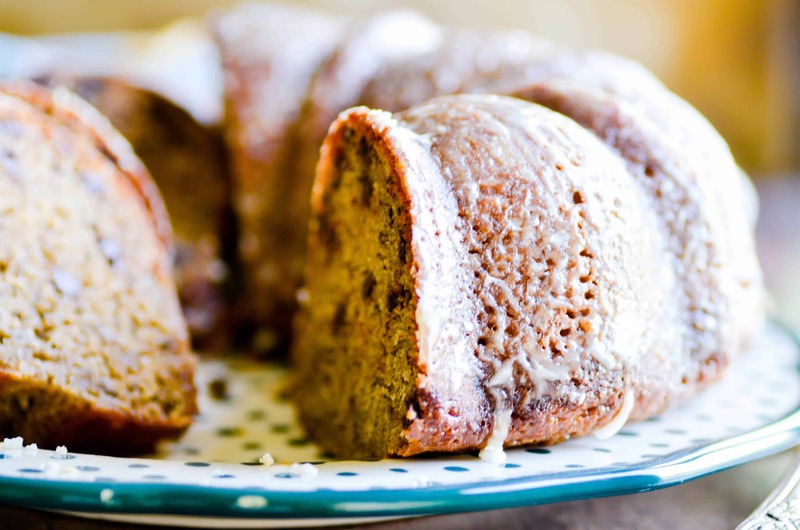 Check out my other bundt cake recipes. Next Post » Best EVER Baked Donuts of All Time Ever.